If you’re carrying extra pounds, you certainly are not alone. Two-thirds of all Americans are overweight and one-third are obese. Since excess pounds and pregnancy put additional pressure on your weight-bearing joints, it’s hardly surprising that pregnant women and overweight people often complain about intense foot pain, knee pain, backache and back pain. Due to the natural weight gain during pregnancy, a pregnant woman’s center of gravity is completely altered, putting added pressure on her feet and joints. That’s why many pregnant women experience considerable foot pain, knee pain, pregnancy backache and back pain. Every extra pound you’re carrying puts extra stress on your feet and causes extra foot pain. Unfortunately, the painful shock waves that start at your feet travel upward into your knees and back. That’s why pregnancy and excess weight also causes more knee pain, backache and back pain. Shock-absorbig insoles are often an overlooked remedy for foot pain, knee pain and back pain. Shock-absorbing insoles absorb the painful impact of step shock, thereby relieving foot pain. Shock-absorbing insoles also prevent the jarring shock waves from reaching your knees and back, helping to relieve knee pain, backache and back pain. 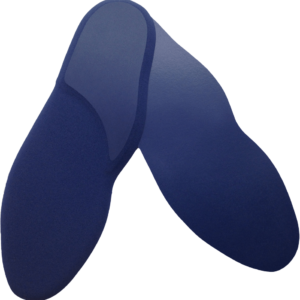 Foot Shox shoe insoles relieve foot pain, knee pain, backache and back pain better than any other insole product on the market. That’s because Foot Shox insoles are made entirely of LIQUID FILLED, the #1 shock absorbing insole material in the world. An independent lab rated LIQUID FILLED #1 for absorbing painful impact forces — superior to latex foam, gel, sponge rubber, neoprene, vinyl sponge or viscoelastic. The more shock absorption in your insoles, the less foot pain, knee pain, backache and back pain you’ll suffer if you’re overweight or pregnant. Let Foot Shox take the pressure instead of you.